Yaping Chen is a thoughtful professional with years of experience in the oil and gas industry. After graduating from university, she worked at Sinopec for more than a decade, and acted many times as the engineer designer for various projects. Right now she works at a local oil and gas service company in Alberta. Yaping graduated from Hunan University with an honours degree in information management. After moving to Canada, she continued to develop herself with ongoing education programs. She has completed certificates from both Maple Leaf College and Chinook College for English. Aside from work, Yaping enjoys sports and community service activities. She has volunteered for Calgary Public Library, Calgary Immigration Centre, and Calgary Home of Love, among others. Yaping currently attends CCCA as the head representative of general inquiries. 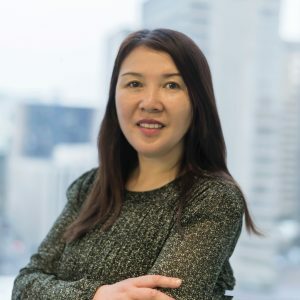 Her commitment towards CCCA is remarkable, and she is always willing to offer help with business projects between China and Canada using her experience and personal perspective.